In the heart of Maine's Midcoast, the neighboring towns of St George, Thomaston, Owls Head. 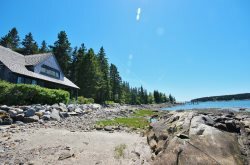 Rockland, Rockport, Camden, Lincolnville, Hope, Appleton, Union, and the islands of Vinalhaven, Northhaven, Monhegan, and Isleboro draw visitors in every season to "Where the Mountains Meet the Sea". Thanks to its recreation, shopping, historical interest, arts and culture, and dining and lodging, the region offers broad appeal as well as one-of-a-kind attractions. Throughout the year, Victorian-era opera houses and 1930s movie houses schedule concerts, plays, dance events, the Maine Literary Festival, Camden International Film Festival, and thought-provoking gatherings such as PopTech! and The Camden Conference. The region also hosts a Windjammer Festival, Blues Festival, Lobster festival, the Union Fair, the US National Toboggan Championships, and much more! See the Penobscot Bay Chamber of Commerce's Calendar of Events for details. Click here to learn more about our area. To search for properties in a particular town, village or city, use the links below to view all properties located within that area.